In the Netherlands, Remembrance Day is commemorated annually on May 4th as 'Dodenherdenking'. It is not a public holiday. Throughout the country, military personnel and civilians fallen in various conflicts since World War II are remembered. The main ceremonies are at the Waalsdorpervlakte near The Hague, the Grebbeberg near Wageningen and Dam Square in Amsterdam. Two minutes of silence are observed at 8:00 pm. Remembrance Day is followed by Liberation Day on 5 May. In the countries associated with the British Commonwealth, Remembrance day is a memorial day observed since the end of World War I to remember the members of their armed forces who have died in the line of duty. This day, or alternative dates, are also recognised as special days for war remembrances in many non-Commonwealth countries. Remembrance Day is observed on 11 November to recall the end of hostilities of World War I on that date in 1918. Hostilities formally ended "at the 11th hour of the 11th day of the 11th month," in accordance with the Armistice, signed by representatives of Germany and the Entente between 5:12 and 5:20 that morning. ("At the 11th hour" refers to the passing of the 11th hour, or 11:00 am.) World War I officially ended with the signing of the Treaty of Versailles on 28 June 1919. The initial Armistice Day was held at Buckingham Palace commencing with King George V hosting a "Banquet in Honour of the President of the French Republic" during the evening hours of November 10, 1919. The first official Armistice Day was subsequently held on the grounds of Buckingham Palace on the morning of November 11, 1919. This would set the trend for a day of Remembrance for decades to come. Remembrance day is held all over the world at the same time (depending on the time zone). It is an astonishing event on every location where held. 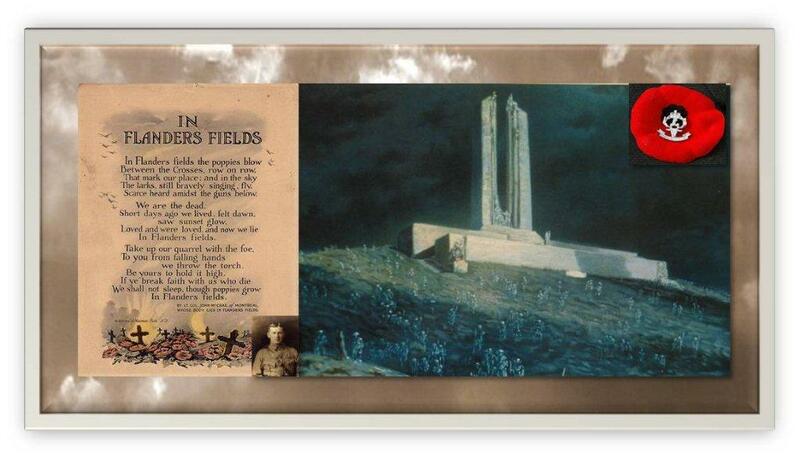 In Canada it is held all over the country on 11:00 and the National Remembrance is held at the National War Memorial in Ottawa. In Vancouver it is held by the Cenotaph on Victory Square. The Seaforth Highlanders of Holland perform Remembrance Day on the Canadian War Cemetery in Holten.